I finally got one! And by got one, I mean got one completed! Since I set an opening date for my store, September 20th, I have been making loads of plans for new products. Shamefully though, I still have some prototype products that have been sitting on my unfinished shelf for 1+ years. This Jake the Dog plushie is one of those products. 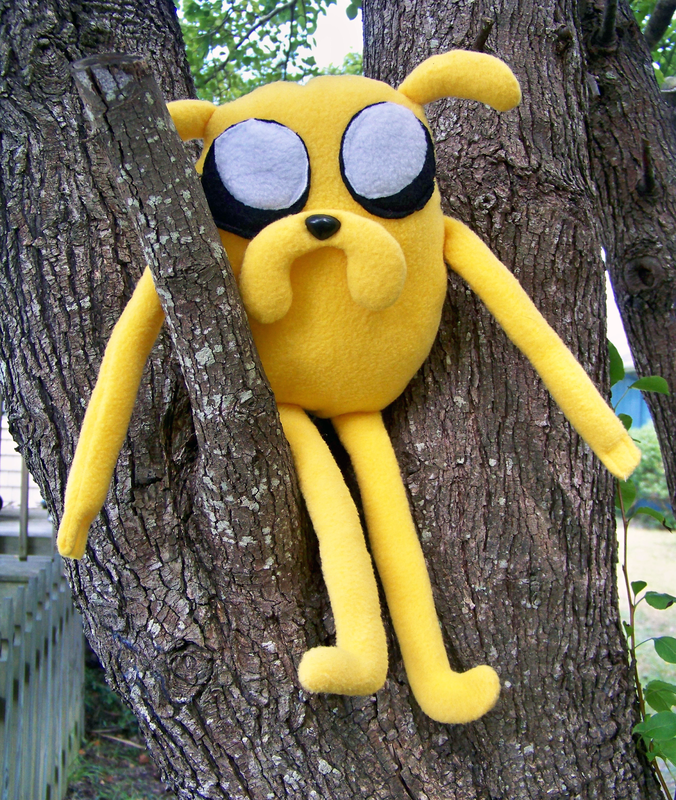 Jake likes to climb trees too, we would get along great. 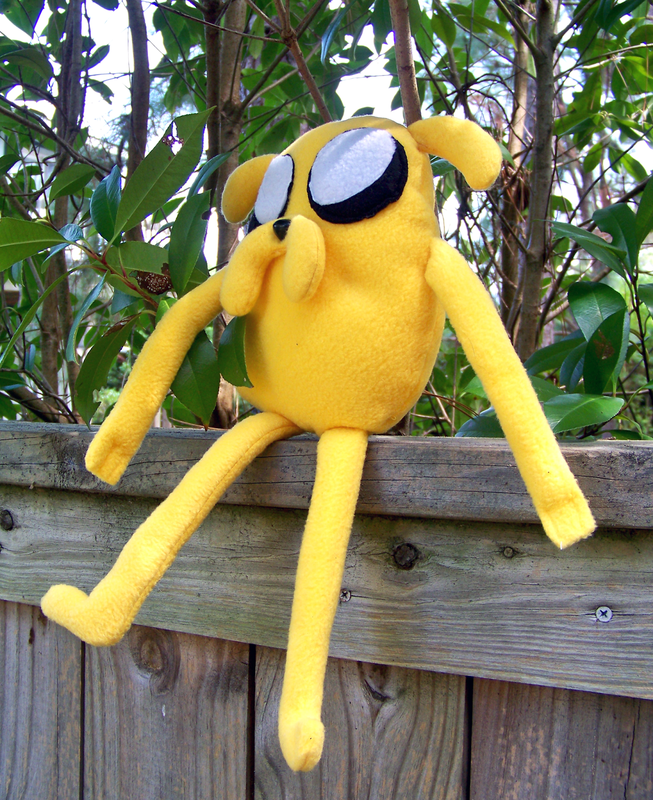 There is a Cake the Cat plushie coming too, she was still just pattern pieces though whereas Jake just needed his legs sewn on and stuffed. It's only a small drop in the bucket but I am glad to be able to cross him off my to do list and I feel like I'm making progress in my store! Waiting wistfully for Lady to come home. Now he's still just a prototype, so he's not a finished product. I realized something looked off about him and realized I forgot his tail! Cake has a tail, but not Jake. Anyway, I need to get sewing to try to finish another plushie to donate to a charity art auction for free admission to a local convention, so wish me luck!